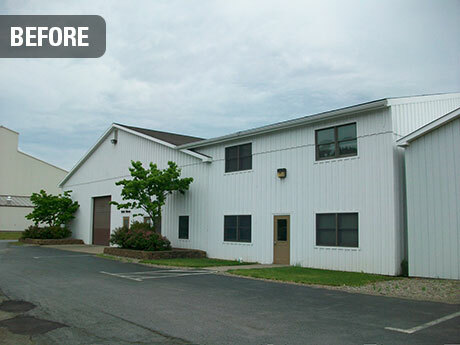 smartDESIGN converted a 10,400 square foot storage building into modern office space on the existing Time Warner Cable headquarters campus in Coudersport, PA. 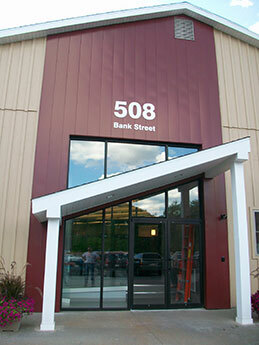 The newly established entrance provided the building with a fresh identity. 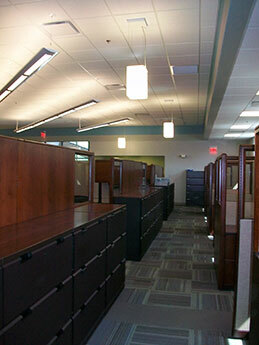 The furniture, cabinets and millwork, salvaged from another facility, complimented the contemporary interior scheme. 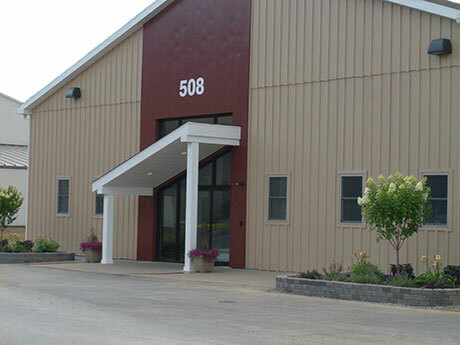 A rear patio highlights the green space and river behind the building.